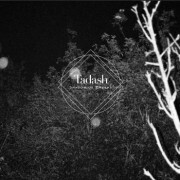 Tadash is a Parisian duo that was born in late 2012 from members involved in OIZAK (Dark Ambient), Province (Psychedelic Rock), Red Space Cyrod (Indie Rock) and Cyrod Iceberg (Indie Folk). Shadow of Dreams is the full length following to their debut self-titled EP that just came out one month before. Using guitars and bass guitars with synthesizers, archaic percussion instruments, harmonica and field recording, their style cannot be described with a simple label but their music quickly brings up to mind references like The Legendary Pink Dots, Brian Eno and The Fall.